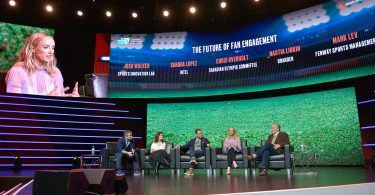 Intel’s Sandra Lopez explains that sports, entertainment and music define culture and acknowledges that technology is only at its beginning at The Future of Fan Engagement in Las Vegas on Tuesday, Jan. 9th, 2018. Photo by Tami Nguyen / BU News Service. 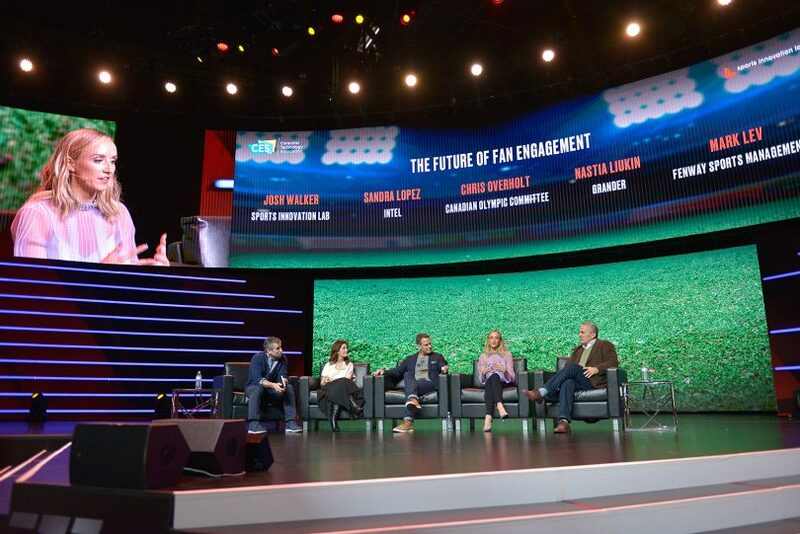 Olympian gymnast and entrepreneur Nastia Liukin explains that her app Grander allows gymnasts to communicate with their idols at CES’s The Future of Fan Engagement panel in Las Vegas on Tuesday, Jan. 9th, 2018. Photo by Tami Nguyen / BU News Service. 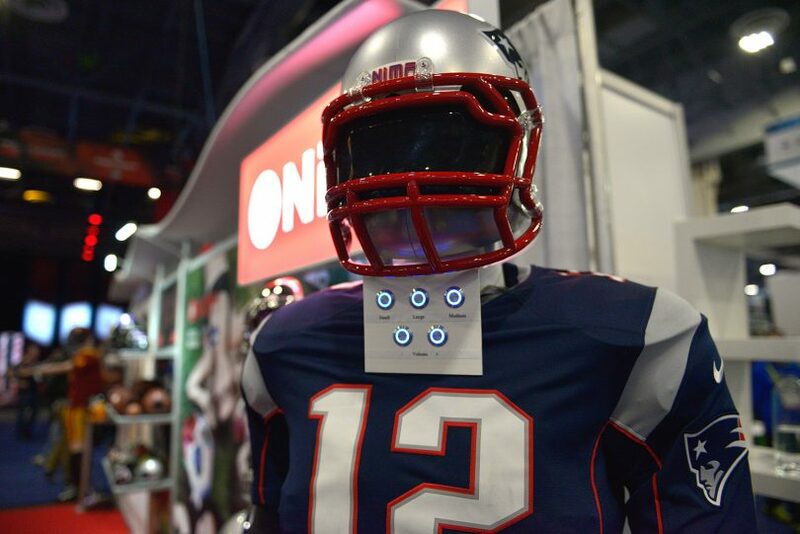 Nima designs Bluetooth Helmet Speakers for the sports buff fans at CES in Las Vegas on Tuesday, Jan. 9th, 2018. Photo by Tami Nguyen / BU News Service. 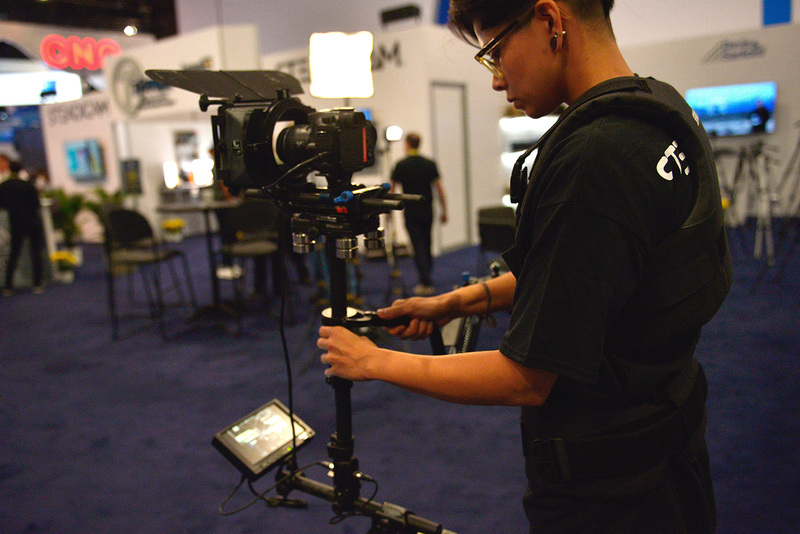 Blanca Basua of Steadicam operates a camera stabilizer from their Aero collection at CES in Las Vegas on Tuesday, Jan. 9th, 2018. Photo by Tami Nguyen / BU News Service. 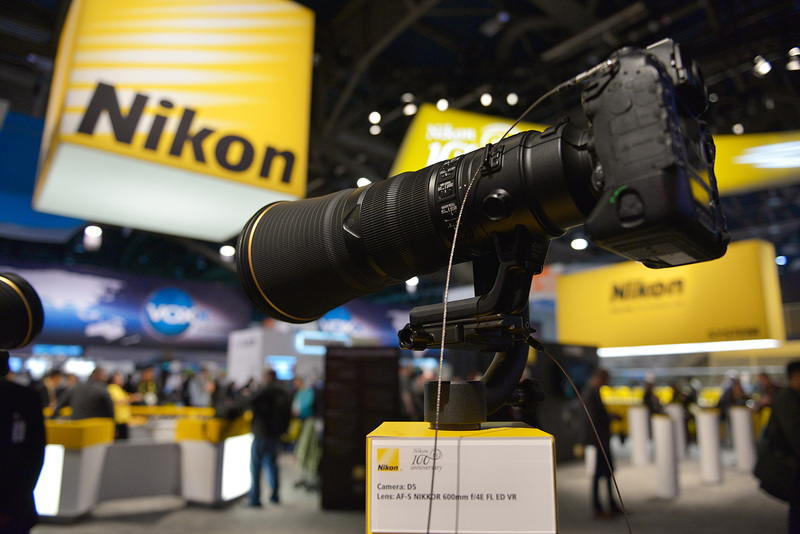 Nikon displays the Nikon D5 and AF-S NIKKOR 600mm f/4E FL ED VR, an ideal set-up for sports action, at CES in Las Vegas on Tuesday, Jan. 9th, 2018. Photo by Tami Nguyen / BU News Service. 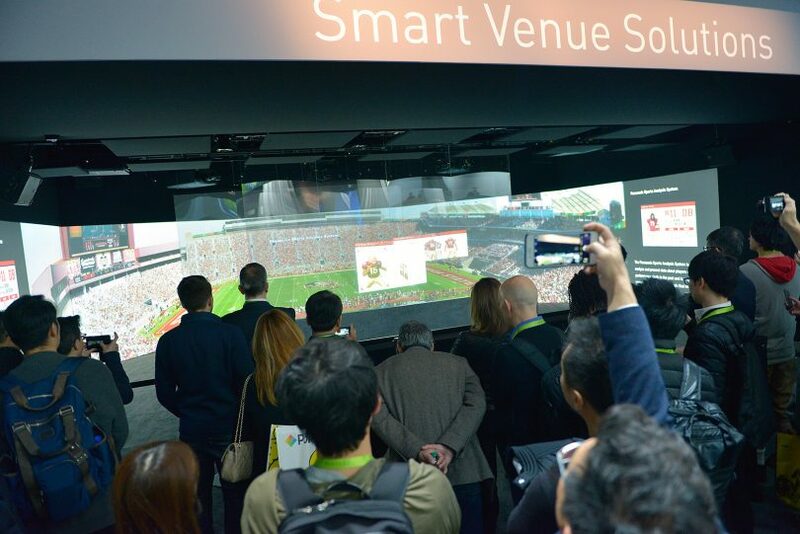 Panasonic proposes to create an entirely new live sports experience with VR glasses at CES in Las Vegas on Tuesday, Jan. 9th, 2018. Photo by Tami Nguyen / BU News Service. 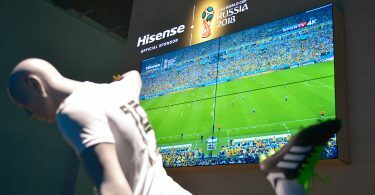 Hisense allows 2018 World Cup viewers to choose from 37 different camera angles at CES in Las Vegas on Tuesday, Jan. 9th, 2018. Photo by Tami Nguyen / BU News Service. 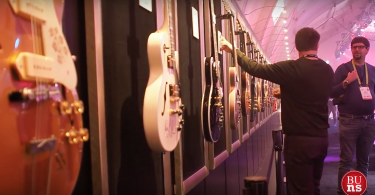 How do you define fan engagement? 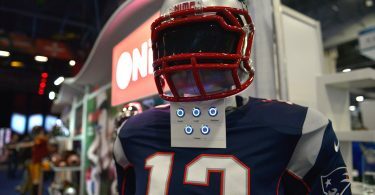 That is the question Josh Walker of Boston’s Sports Innovation Lab asked panelists as he kicked off the Future of Fan Engagement at CES. 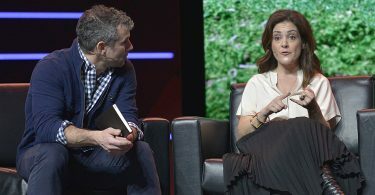 Mark Lev, managing director of Fenway Sports Management, explained that fan engagement is about contact with fans and followers, accessible digital platforms and how the Red Sox and Liverpool organization interacts with fans at the stadiums. 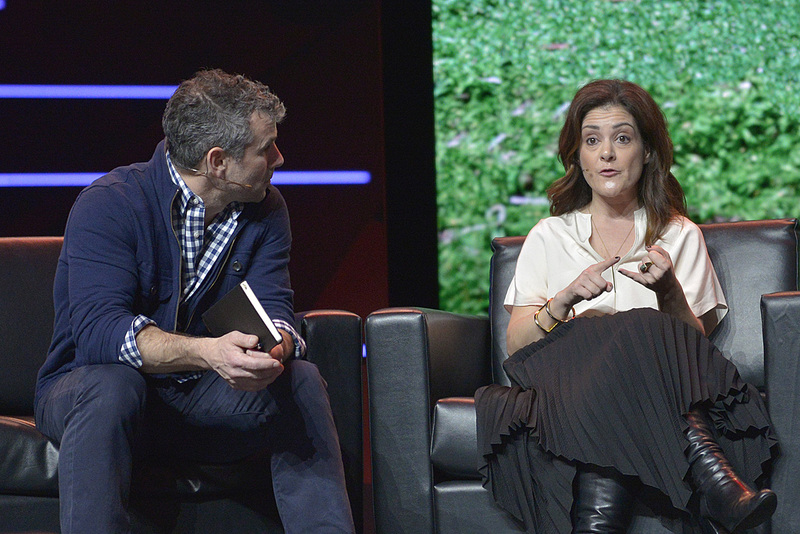 Intel’s Sandra Lopez noted that fans want the freedom of choice, a sense of authenticity and access to immersive experiences provided by leagues, teams and individual athletes. 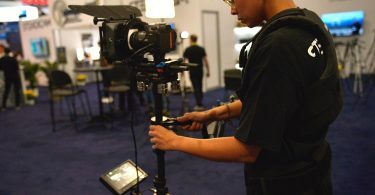 Sports technology was one of the main focuses of the large exhibitors at the Las Vegas Convention Center. 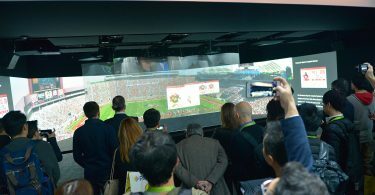 Panasonic said it believes they can change how fans view sports in 2025 by using VR technology to experience live sports arenas and stadiums. 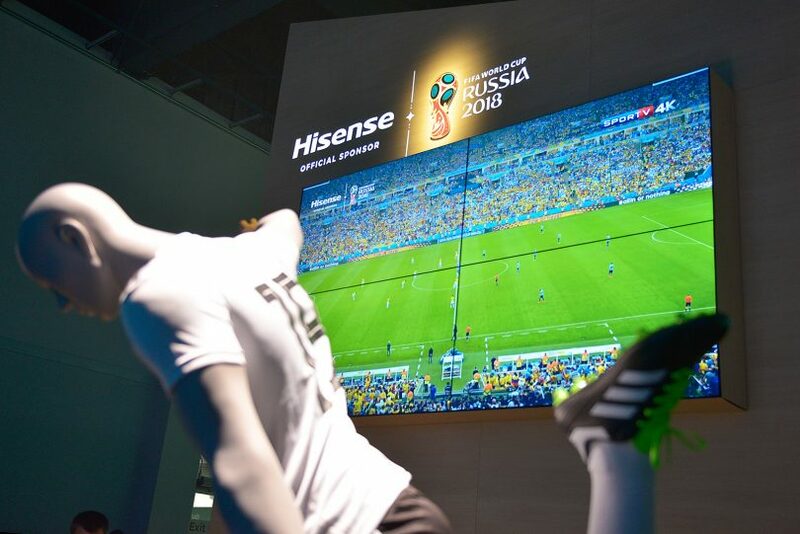 Hisense has plans to bring fans immersive access to exclusive content and camera angles on an app for the 2018 World Cup in Russia. 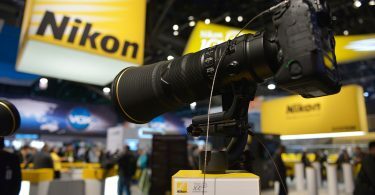 New camera technology and entertainment gadgets were also introduced with a focus on sports in mind. 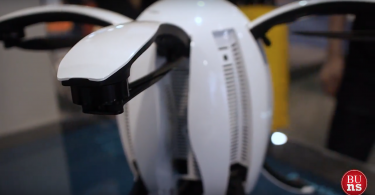 VIDEO: Need a Drone for Gaming? Agriculture? Photography?